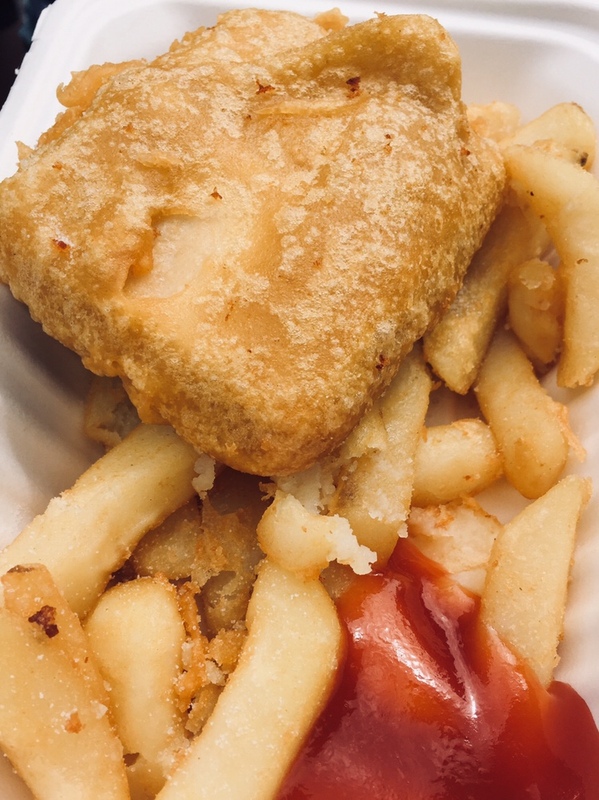 As promised I said I’d report back on the Plymouth Vegan Festival we went to on Saturday. Tasha and I made a whole day of it arriving just after the doors opened at 10.30am. 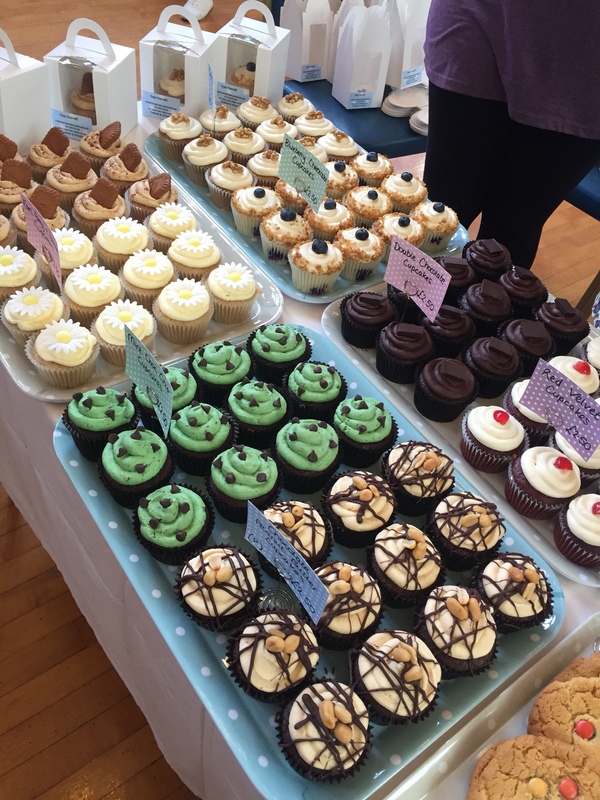 There was a queue but we were soon inside Plymouth’s Guildhall and dazzled by the beautiful cakes (above) on the first stall we met in the main hall Vegan Sweet Tooth London. 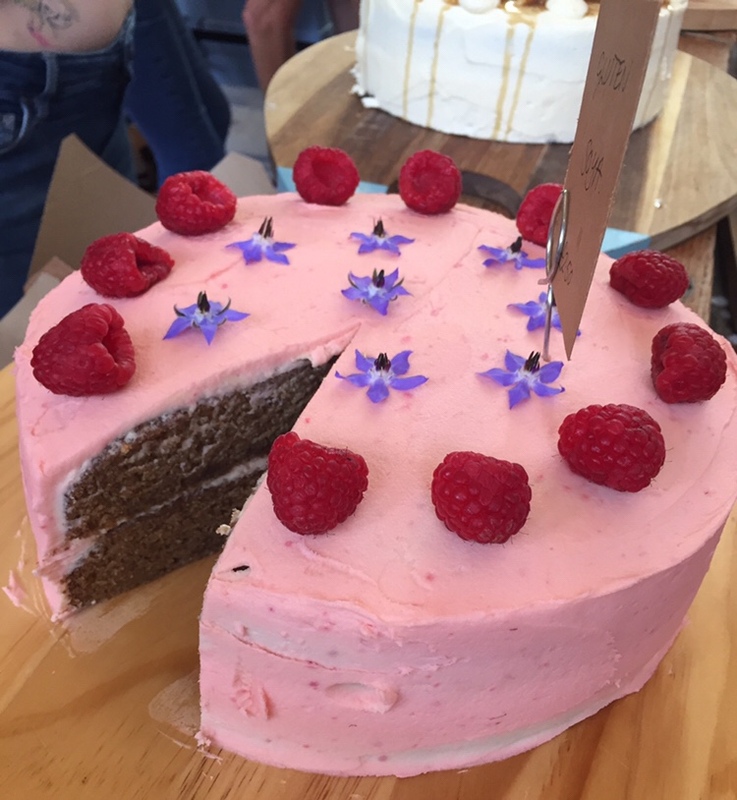 I had triple chocolate cake and Tasha had raspberry and chocolate and they were good vegan cakes! 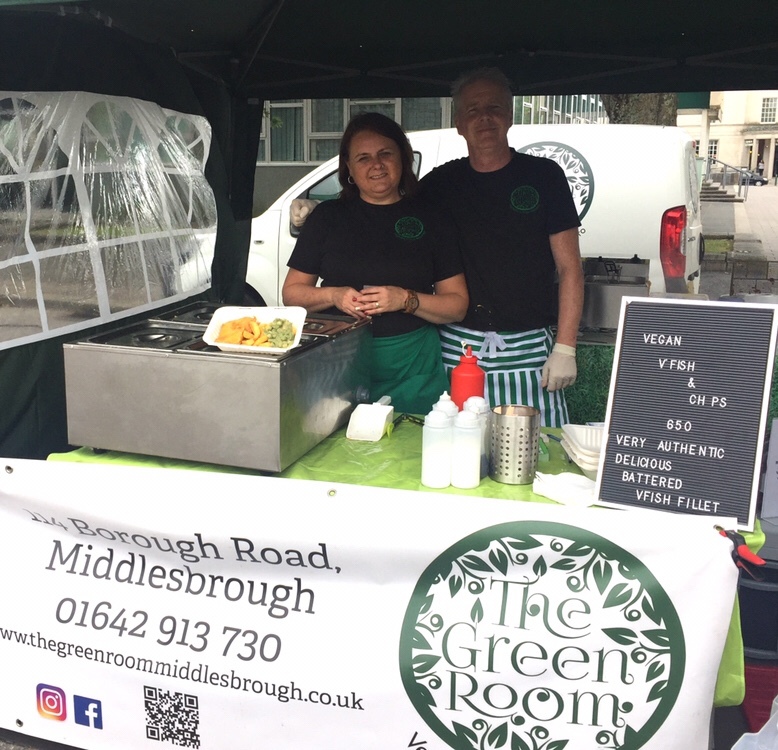 Strange that there was no tea or coffee to be had anywhere – an essential for hard working stallholders, weary travellers and to wash down the many vegan cakes but luckily there was a coffee place over the road and it did soya milk – phew! After coffee, cake and a quick look round we realised it was just the one hall full of stalls. 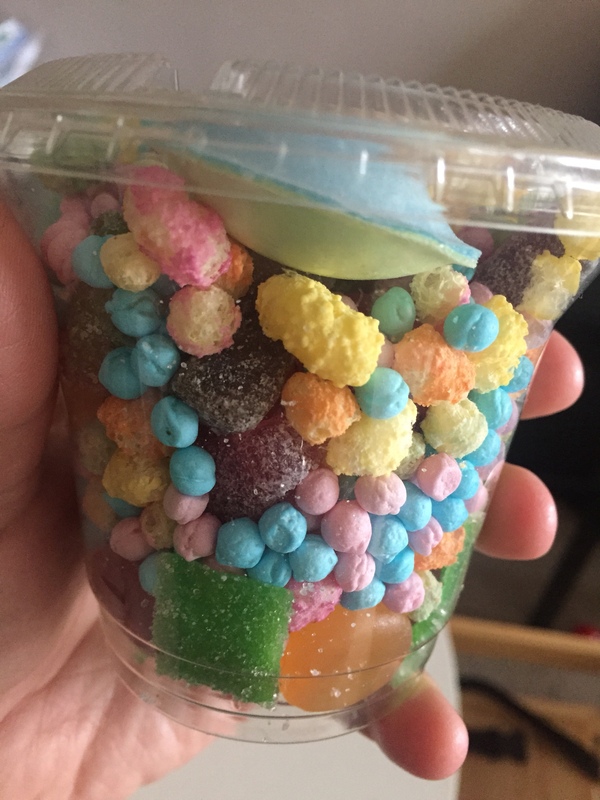 Enough to keep us entertained as it happened but like someone said to me on Instagram afterwards they’d expected it to be bigger. It also got really stuffy and hot in the hall by lunchtime. 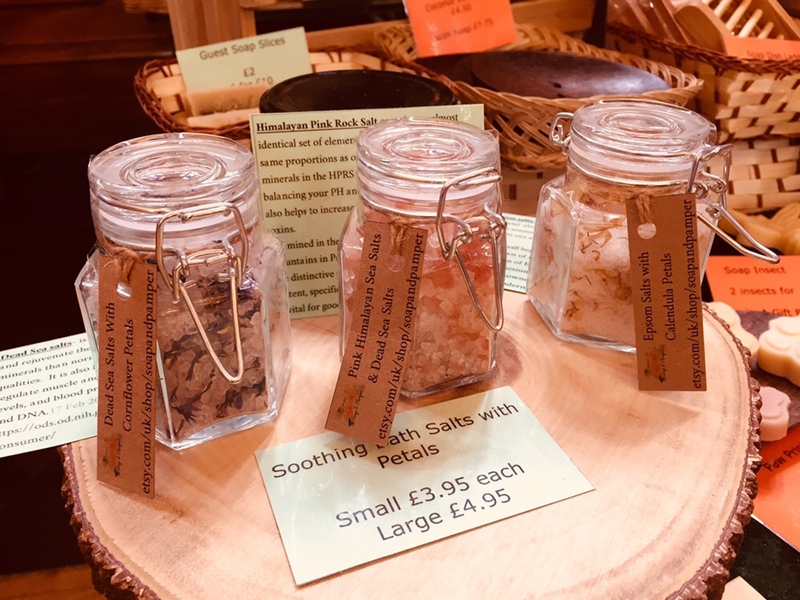 There were a handful of talks you could go to so we popped along to the one on natural remedies for coughs and colds which was great. 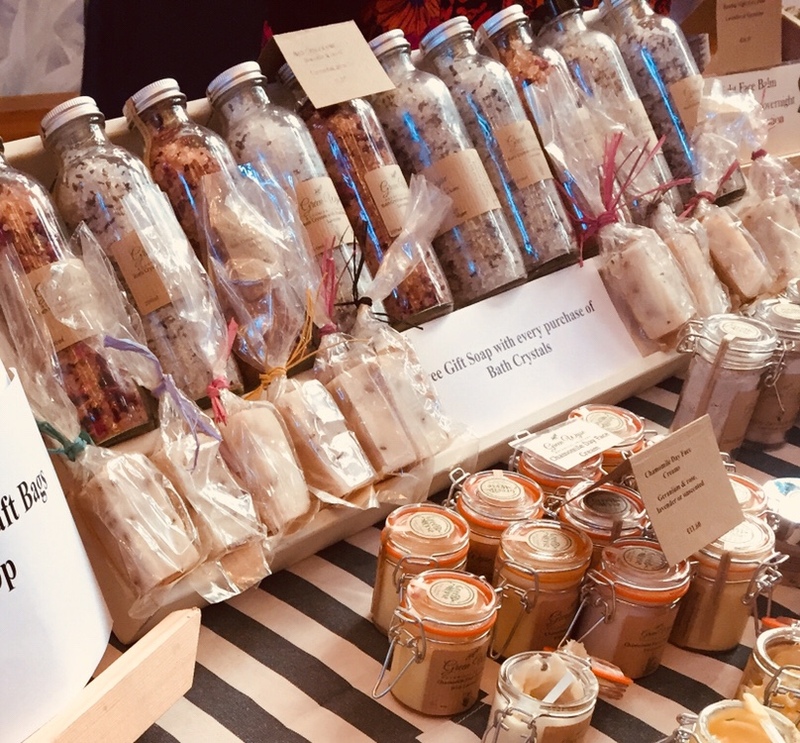 The herbalist Dawn Ireland who had the stall Greenwyse above ran it and we learned how to make onion syrup to ward off evil lurgies and I picked up a handy tip about nutmeg helping you sleep better. We met the lovely Debs from Soap & Pamper who I’d been chatting to on twitter before the event. 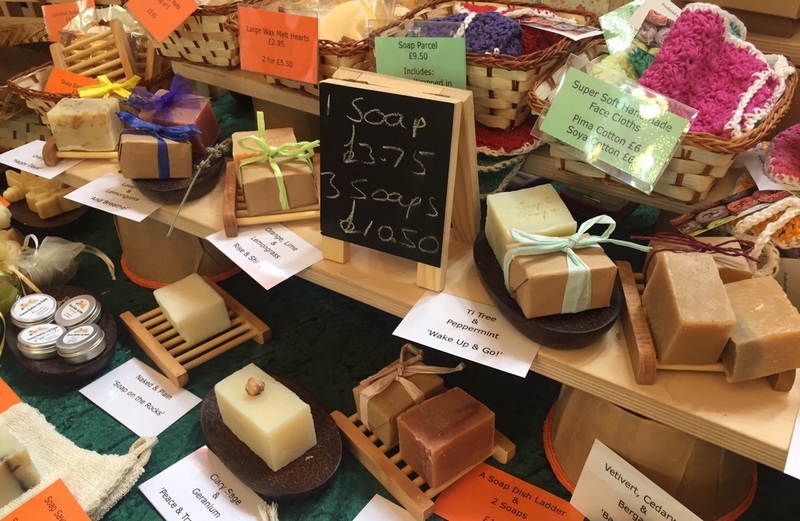 Gorgeous reasonably priced handmade soaps. I’ll be reviewing one soon! Watch this space. Needless to say I’m now one of Shirley and Derek’s (above) biggest fans and when we’re up north in a few weeks I’m hoping to visit The Green Room with the rest of the family. 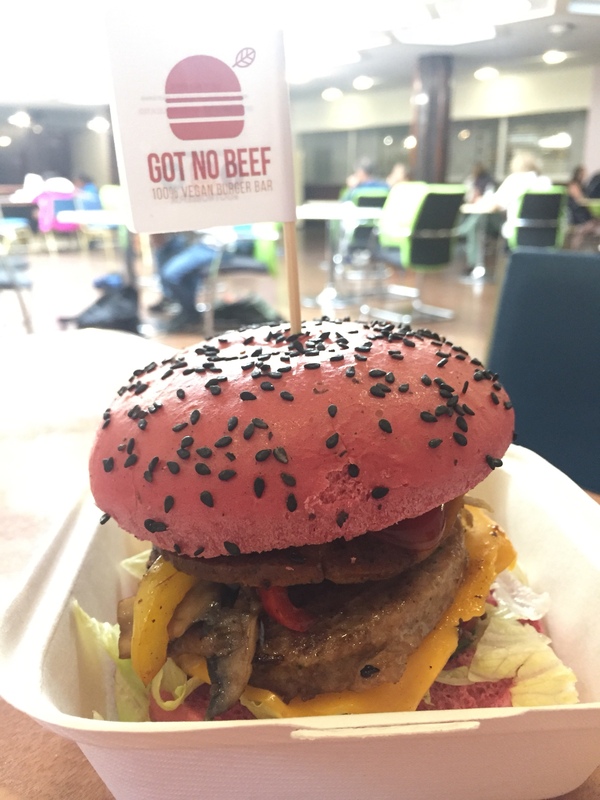 Tasha fancied a veggie burger for her lunch from Got no Beef which were so popular we queued for half an hour! 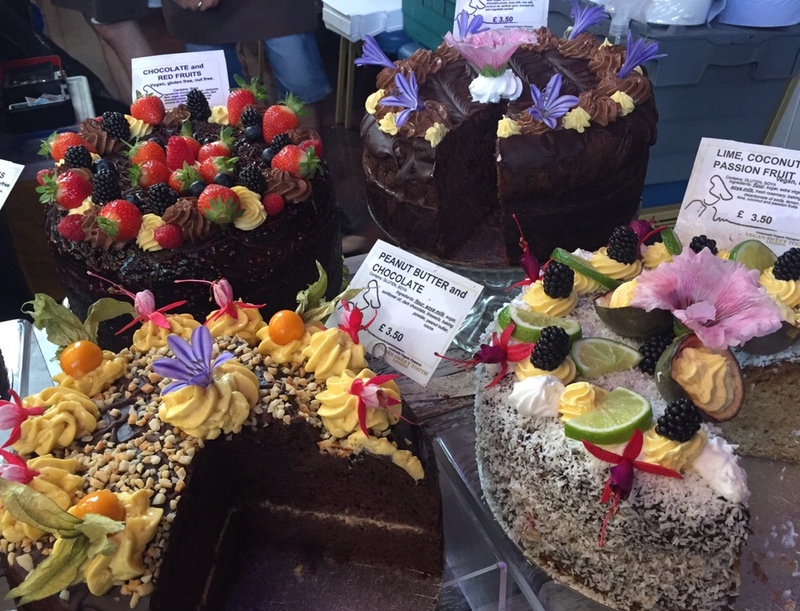 Another beautiful cake stall (above) from Treat Yourself (great name!) who are Plymouth based and just getting started. 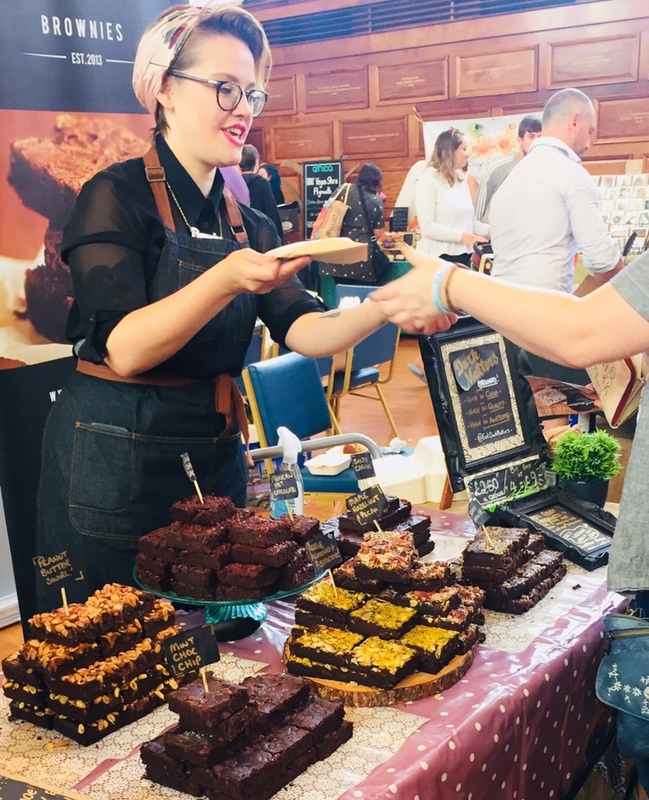 Gemma was there from Dark Matters (above) with her extremely eye-catching palm oil free brownies! 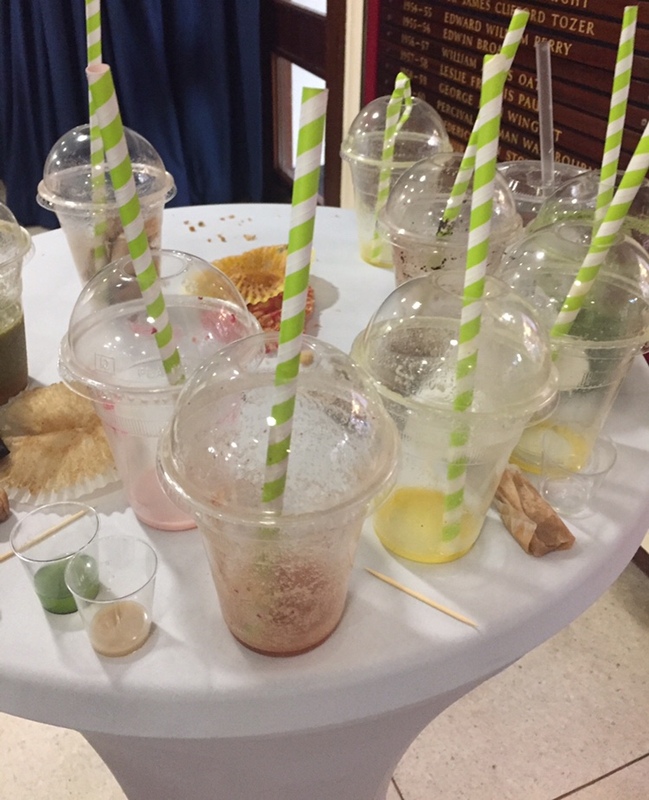 I thought it was a shame to see all this plastic waste mainly from the very popular Liberty Vegan UK milkshake bar (who also did ice cream & the vegan sweets below). However on researching them I found out these cups are made of plant starch which is fully compostable! Good stuff. There were also lots of families there but nothing for kids to do. 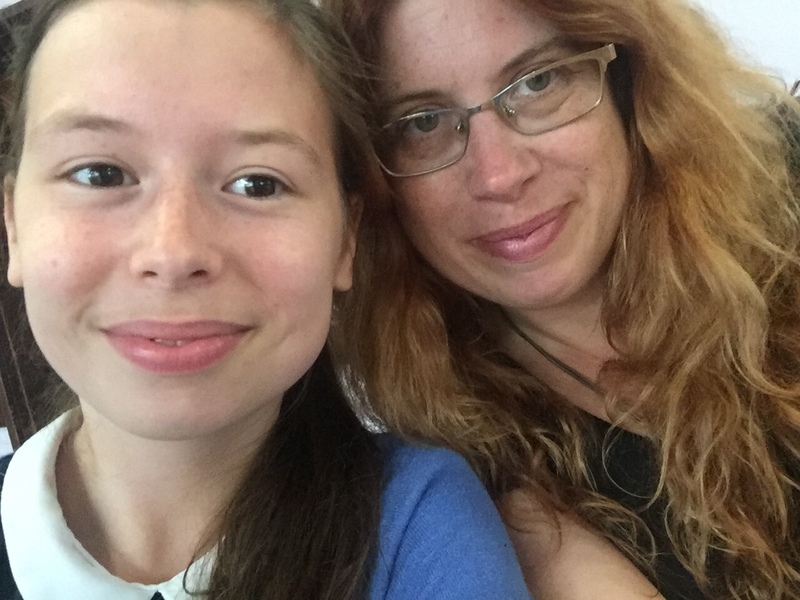 Luckily I learned from the lack of kids stuff at the recent Vegfest in Bristol and left my younger ones at home! All in all – a really fun day out – I’d definitely go again next year. Don’t miss out on our friendly Super Savvy Vegan Facebook group. I’m also on twitter and Instagram. 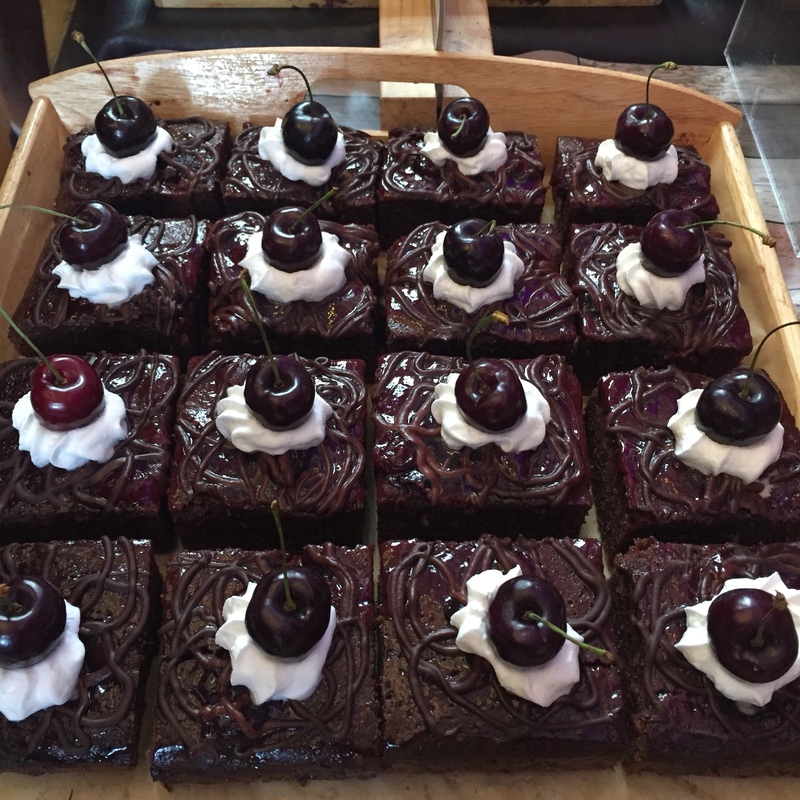 Previous post: Exeter’s Rabbit Cafe – discount for our followers! Next post: Vegan Skincare Offer for SSV followers!